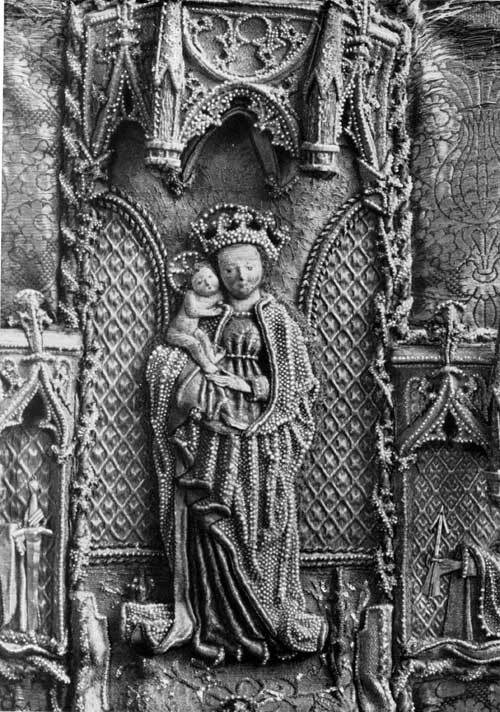 Height of the detail: 43 cm. Cross Orphrey with the Virgin, Saints Barbara and Dorothy and, at the sides, Saints Catherine and Ursula. 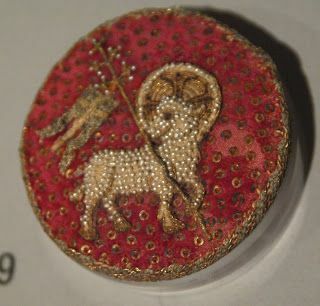 Relief embroidery with gold brocade, pearls, gold thread and silk. The Child, and the faces and hands, in silk, in satin and stem stitch. Background of couched gold threads. This entry was posted in 15th Century, Period Beadwork, Vestments and tagged 15th, church, extant, vestments. Bookmark the permalink.